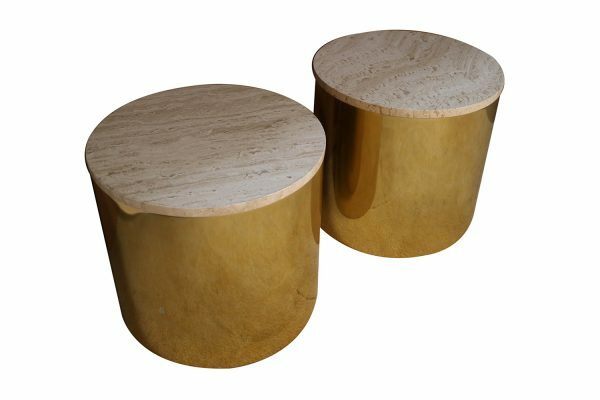 A beautiful matched pair of brass polished aluminum, round drum end or side tales, by Paul Mayen for Habitat International, circa 1970s. 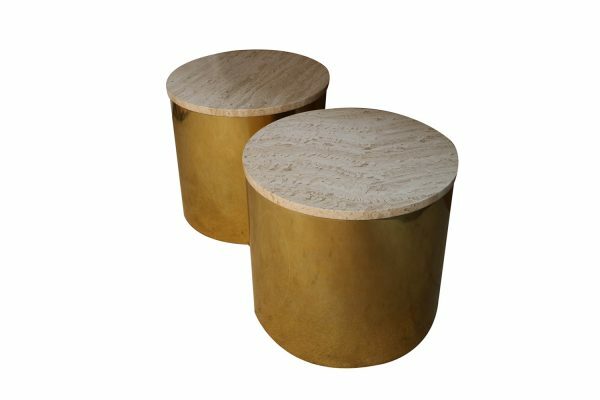 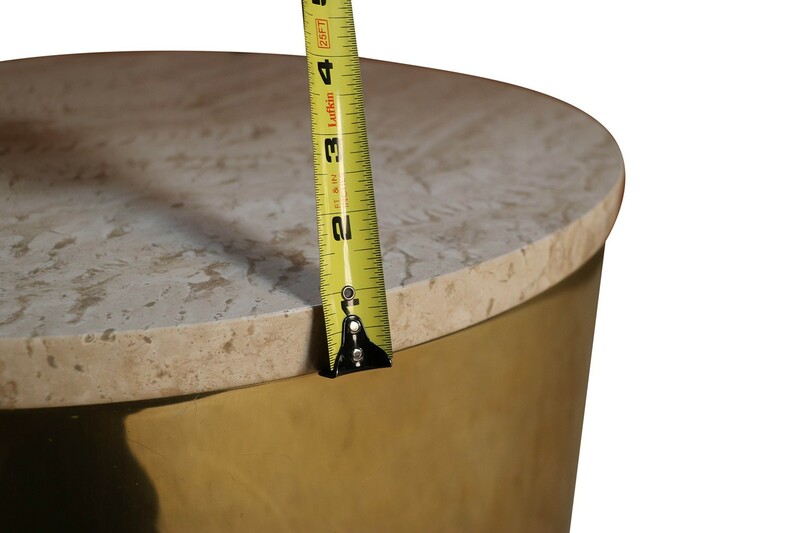 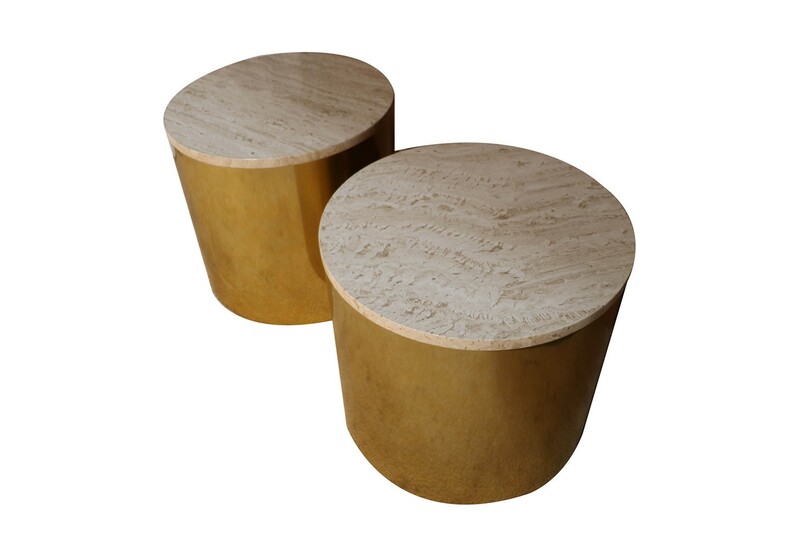 These very attractive pair features polished brass aluminum bases each with 1″ thick removable inset Travertine tops, in excellent condition. 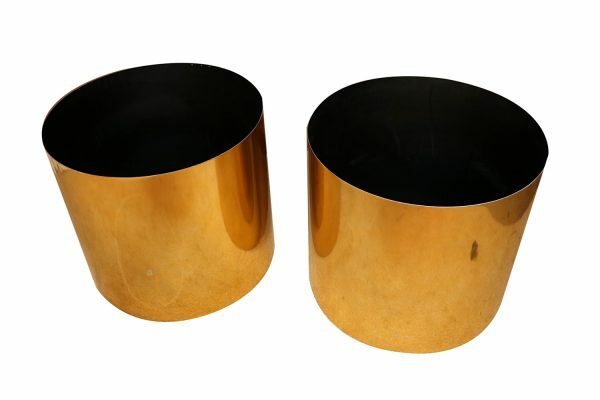 The aluminum brass cylinders bases are in good vintage condition. 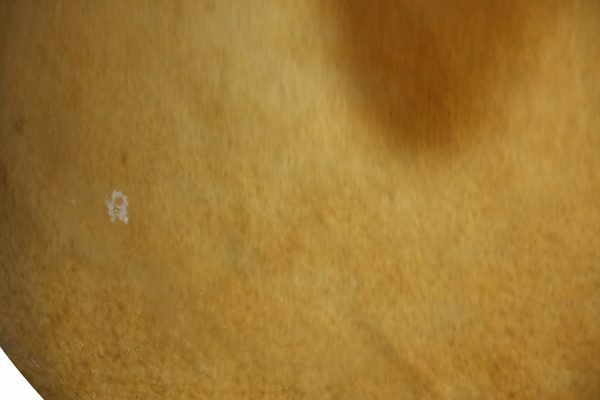 with a hollow body. 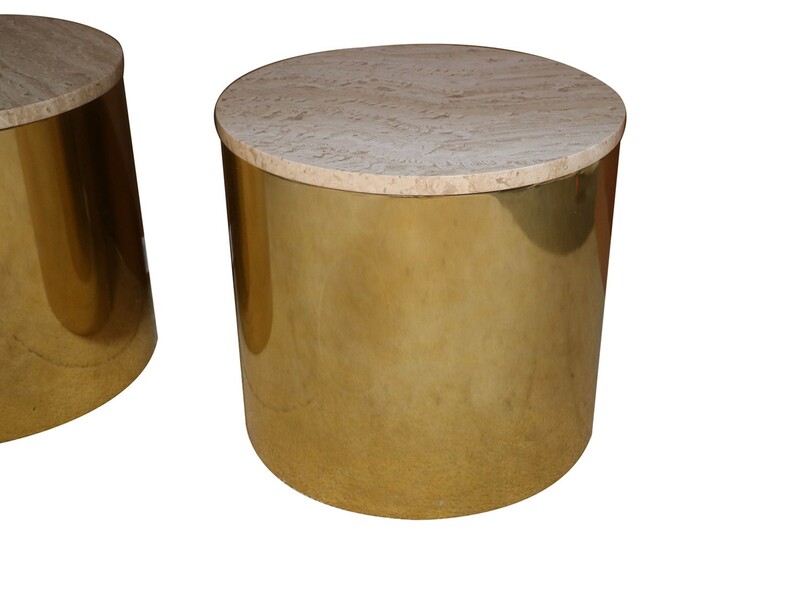 The reflective brass surface shows beautiful with minimal wear, some scuffs which blend into the reflections. 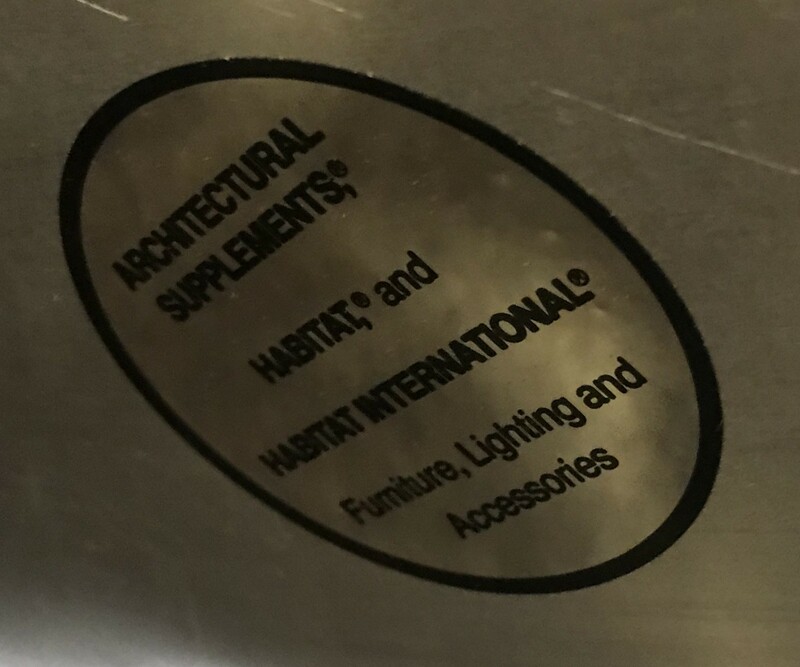 Makers label on underside (Habitat International). 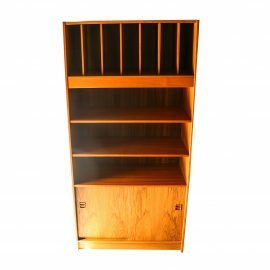 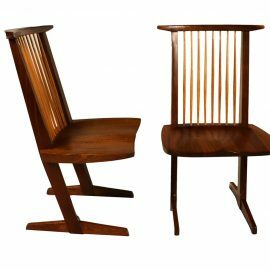 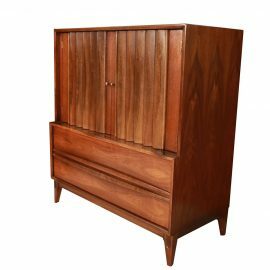 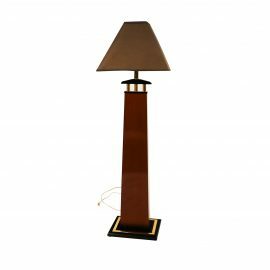 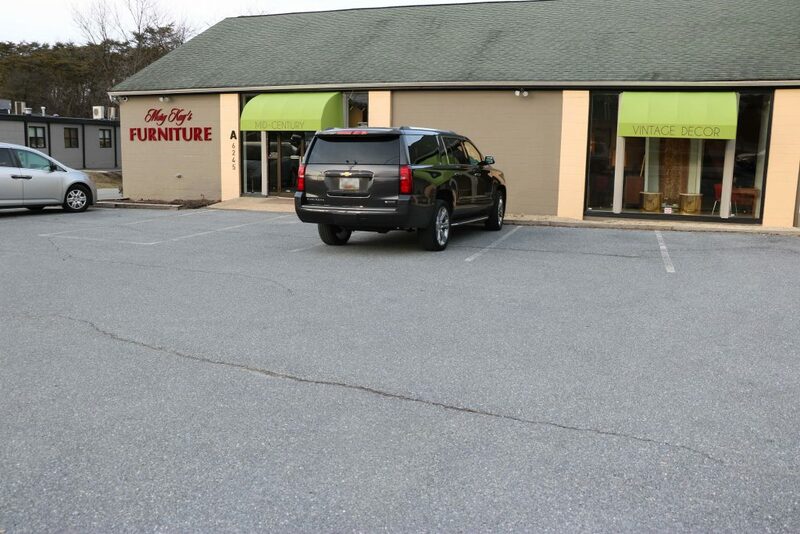 An exceedingly fine pair will make a wonderful addition to any mid-century home. 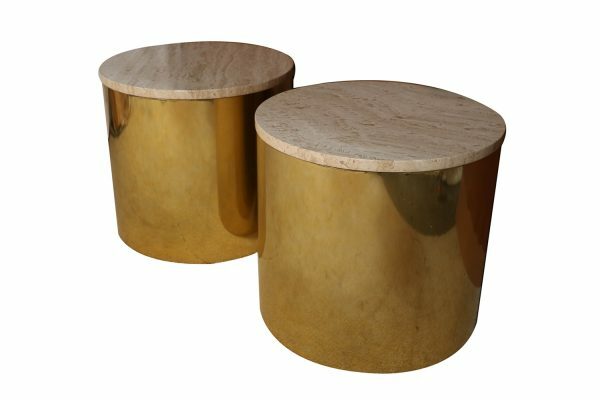 Ideal as end, side tables, also would make beautiful nightstands in bedroom. 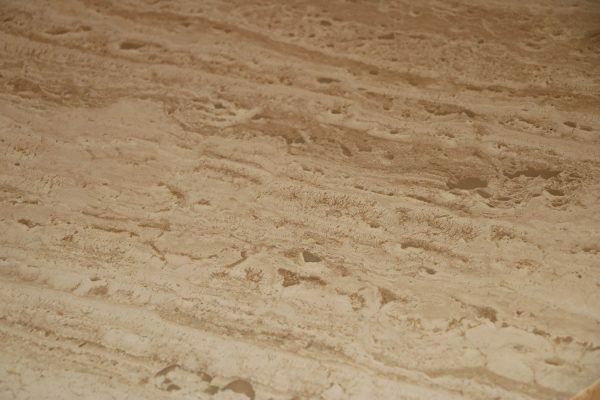 Condition Report: Travertine tops in very good condition, no chips, brass bases show well, with some light wear, structurally solid and strong.